Groups rides and races turn your solo trainer time into a social experience. Just like real life, riding with others can help you push beyond perceived limits and pass the time in a more enjoyable fashion. 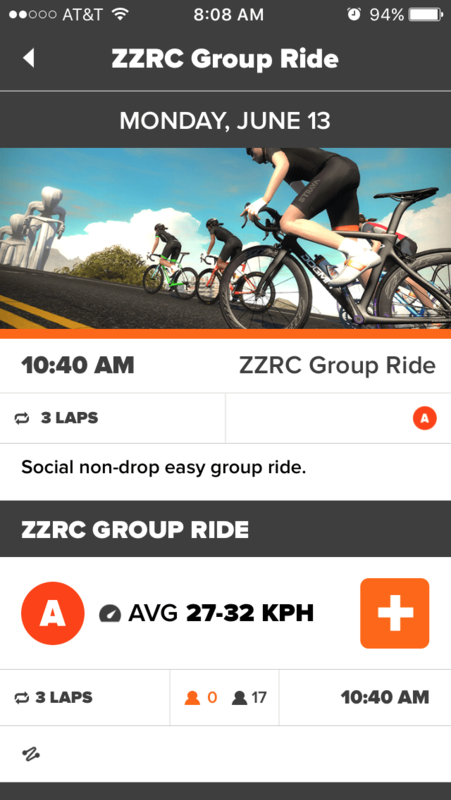 Here’s how group rides work in Zwift. Do this from the game screen or the mobile app. Just click which category you are signing up for (most rides only have one category, labeled “A”) and you’re done. Events show up in game a few hours before they start. The calendar is being constantly updated by ZwiftHQ, so if you don’t see an event listed that is only a day or two away, you should check later. You may browse the next few days’ events via the mobile app or on the official Zwift events calendar. After registering you may begin your ride on whatever route you’d like. While riding, click the “Join Event” button at the bottom-left to be transported to the staging area for your event. By default the “Join Event” button shows up 15 minutes before the event begins, although ZwiftHQ can modify this for particular events. If you do not click “Join Event” but continue riding, the game will pop up a warning that your event is starting soon, and will automatically take you to the start area if you click nothing and continue to ride. Can you quit the event? Yes. If you stop pedaling while participating in a group ride a “Quit Event” button comes up. Do warmup miles count? Only if you ride them on course (not in the staging area) and your ride must be at least 1km in length. Any time spent pedaling on the “trainers” in the staging area is not counted as mileage in Zwift or Strava. 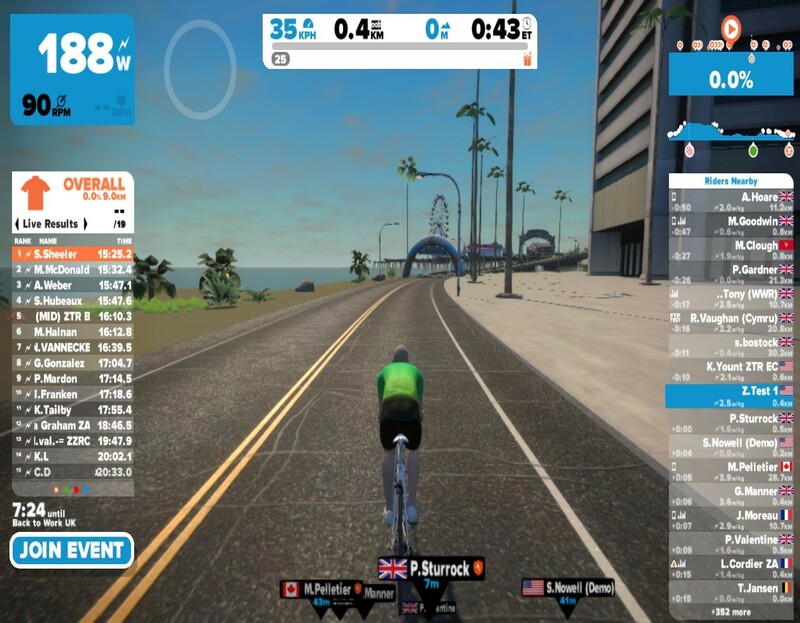 If you ride on course then click “Join Event” Zwift will automatically post your warmup ride to Strava (if connected). Your “main ride” (the group ride) will be uploaded to Strava when you choose to do so at the end of your session. I joined an event. It showed 48 riders. When it started I was the only one in the ride. 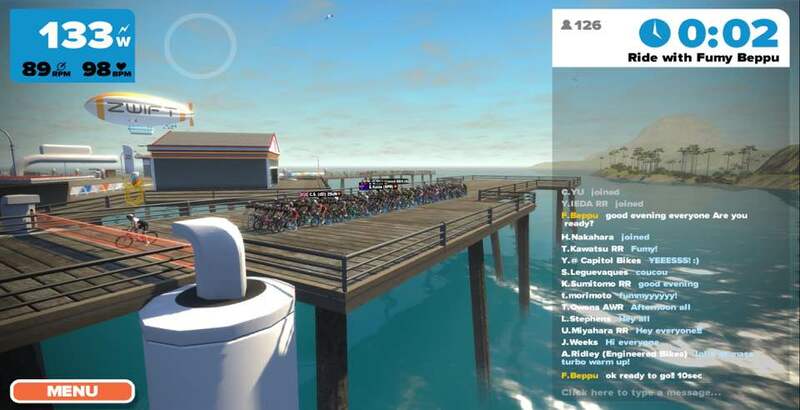 While watching a group ride on Zwift, I noticed that the participants were divided into three categories: A, B and C. What is the significance of the categories? I’m assuming they categorize the riders in accordance with their ability, but I don’t know which category is faster and which is slower. How do you ride the ‘trainers’ in the staging area? I too have that exact problem a few times. Very frustrating, hopefully somebody has an answer! same problem … very frustrating …. My recommnendation: submit your issue to Zwift support. I’m just a news blog! I have just done my first race. Registered on mobile app, then joined ok, did the race but my name is not on the result list. But there race does show up between the activities . I ride ‘dumb rollers’ with a power meter. My setup is such that i cannot touch my screen or a device while riding. I only just started using zwift and noticed riding around a few times there appear to be options to go left or right. I ignore this and take the default. In races there are no cases where you have to manually ‘select’ a direction, correct? 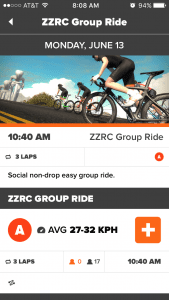 ZZRC says to add ZZRC at the end of your name before the ride and your jersey will be automatically changed to the ride kit when you join the event. 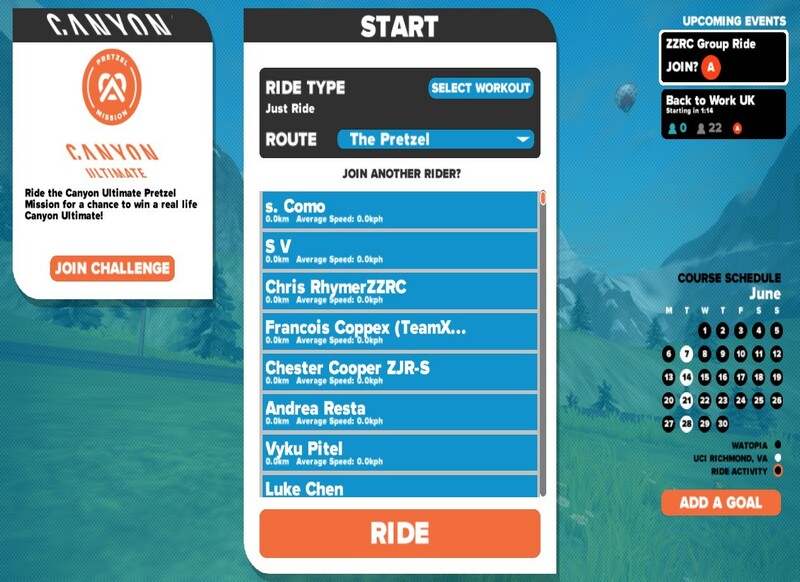 Do I add the ZZRC to the Last Name field in the Zwift Windows app? Bug tonight! Lots of people complaining they did not get a warning or were not transported to the race start. Including myself! Hi I have the same problem. I was riding around and joined a race with the mobile app. But I also wasn t directed to the start. I tried to join another race 30min later but same problem. I changed my name with the wright extension in the app but on the screen of my pc it did not change. When I logged out and joined again my name has changed. My iphone and pc are in the same network. Bug or am I doing something wrong? Sounds like a bug–I would report it to Zwift support. I joined an event – the friday crit race – the 25th. But I don’t appear in the result lists on zwiftpower.com. Where or how can I see my results, why am I not on the list? I joined a ride with andy today. joined as i was suppose to and was in the start up group. once it started no matter how much i peddled i just set there at the starting line while everyone else took off. what did i do wrong? 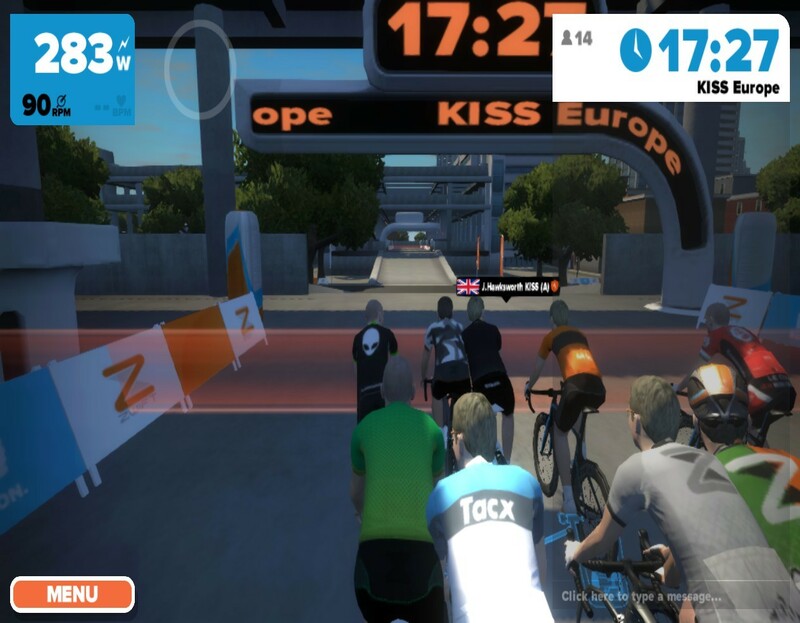 If you weren’t moving, Zwift wasn’t seeing any power numbers from you. So check your pairing. I am new to Zwift. I joined a ride and began setting up and wasn’t connecting until after the ride start time. Once I connected, it did prompt to join event, but I could never find the leader and it seems I was on a never-ending course. So, I can’t tell if I was in the ride and have no record of having done an event. I must have done something wrong, but don’t know how to fix it. Any help is appreciated. Thanks. Can you join a group ride after it has started? If so, how? You cannot. Got to join before the ride begins. Why am i not getting a join ride button or your event is about to start button even thought I’ve ticked up for the race ? Hi! 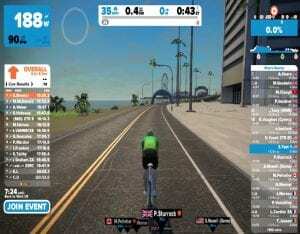 I see that some events on Zwiftpower are held in “wrong” worlds. For example “Everything Bagel” on Watopia day. What will happen if I join it? This has happened to me, every time it has been because I used world switching and was not in the correct world for the event.